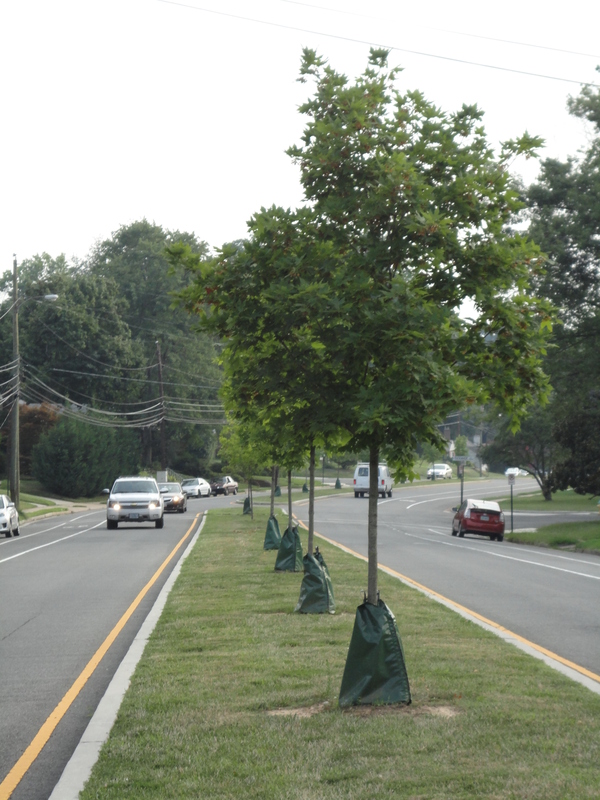 Aren’t trees gracing the middle of street medians gorgeous? Don’t they lift your spirits when you drive along a shady boulevard? So why is someone deliberately driving onto the median of Williamsburg Boulevard near Tuckahoe Street to knock them down? The photo below shows the hole left after the county removed one of the trees that had been knocked down into the street. Three lovely maple saplings had to be removed from this block between Tuckahoe and Trinidad Streets. The tree trunk was snapped off by a vehicle driven across the median. Neighbors reported the trees were fine when they left in the morning and were laying across the median into the road when they returned in the afternoon. Police investigations show no evidence of a vehicle losing control and accidentally entering the median; indeed, it is possible the vehicle was driven up deliberately twice to knock over the trees with the front grill work. 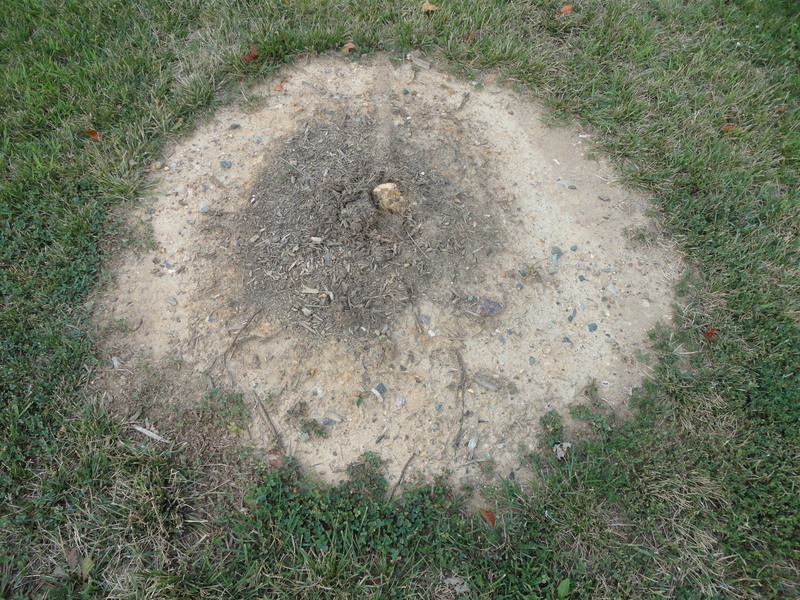 Arlington County’s Parks and Natural Resources Division which cares for our street trees, report this has happened several times over the last three years along Williamsburg Boulevard. Why is someone doing this? If you know anything about this vandalism, call Arlington County Police at 703-558-2222. Destroying public street trees is against the law; driving onto a street median is dangerous as well as criminal behavior. This entry was posted in Advocacy, Tree Care, Uncategorized and tagged community, vandalism. Bookmark the permalink.